One of the best events for B2B Leaders is right around the corner…are you ready for SiriusDecisions Summit 2018? It’s a big event, with 3,000+ attendees, 120+ vendors and all the frameworks and case studies you can dream of. I’ve waded my way through the “Sirius” puns, poured over session summaries, sifted through the Sirius blog, and scouted every open-invite afterparty. Here is everything you need to know about SiriusDecisions Summit 2018. Our team is excited to share this experience with you. Come say hello at booth 412! 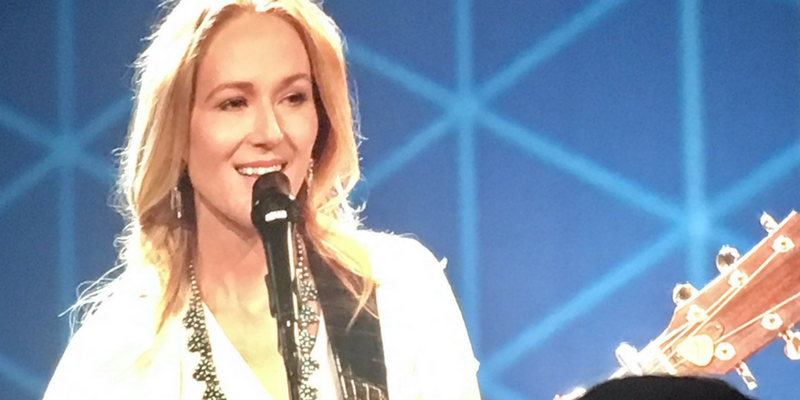 Last year I walked into Summit thinking how the heck does Jewel relate to B2B Marketing? As it turns out, Sirius event planners know what they are doing. I scribbled countless notes about lead nurture vs. nature and authenticity in marketing: “underneath, we’re all looking for the same thing: an authentic human experience.” You know that got my personalization juices flowing. This year’s keynotes are Molly Bloom and Platon. If these speakers are good enough for an Aaron Sorkin feature film and the World Economic Forum in Davos, respectively, then we must be in for a treat. I expect we’ll witness masterful storytelling on the topics of authenticity, leadership, collaboration and ambition. SiriusDecisions is known for dropping big ideas in the analyst keynotes. The 2017 big reveal was the Demand Unit Waterfall®, which shaped the conversation for the whole conference. While I don’t expect such a core announcement in 2018, we can expect the keynotes to guide the themes of the conference. Visit the Summit website for keynote overviews. The links below are to Sirius blog posts that give a little more insights into the keynote topics. If you see these analysts out in the wild, go ahead and buy them a coffee or drink. They work really hard on these presentations. I also recommend following these keynote analysts who are active on Twitter throughout the conference: @julieogilvie, @KerrySirius, @gcanare, @Marisa_Kopec. The full 2018 Summit agenda features three praiseworthy changes. The 2018 Summit is condensed to three days, a half day less than previous years. This is a good move because that last half day was rough for travel arrangements (and fell after the Green Tie Gala) so attendance was low. Somehow, they still managed to squeeze in about the same amount of session time with the condensed schedule in 2018. There are 12 tracks to choose from in 2018, up from seven in 2017. The new track structure dedicates more focus within sales, product, brand, and customer engagement functions. SiriusDecisions has long advocated for alignment between the different facets of the revenue organization, so this update is feels like they are finally walkin’ the walk. Did somebody say role-based breakfast?! I’m so excited for the introduction of role-based breakfasts in 2018. Sessions, as educational as they are, are a one-way communication. Summit isn’t short on networking opportunities, but role-based networking time is valuable for getting inspiration and validation. We recommend the following sessions to create your own personalization strategy track. Stop by our booth 412 to learn how Bound insights and personalization helps your demand, ABM, portfolio and content strategies. What would SiriusDecisions be without parties? It is held in Las Vegas after all. Quick overview of the SiriusDecisions-hosted parties: Fall Out Boy is headlining the Green Tie Gala. The Titanium Celebration is now earlier and in the marketplace, packing in all the networking while freeing up the evening for unsponsored events and dinners. Dress code tends to range from the business casual to business chic (there is the occasional green suit for the gala…costumes optional). Want to hang with Bound? Bags packed? Request a meeting or visit us at booth 412 (memorized it yet?). Need a ticket? Register with code SPONBOUND for $400 off. Can’t make it? Bummer. You can follow along on Twitter using @bound_360, @Stephanie_Bound, and #SDSummit. When the FOMO resides, go ahead and request a personalization strategy consultation. Download the event app. Wear comfortable shoes. Bring a jacket (conference centers are cold). See you in Las Vegas!